Isn’t it great when you get introduced to a new food and you really like it? Here’s a great little recipe using basil. 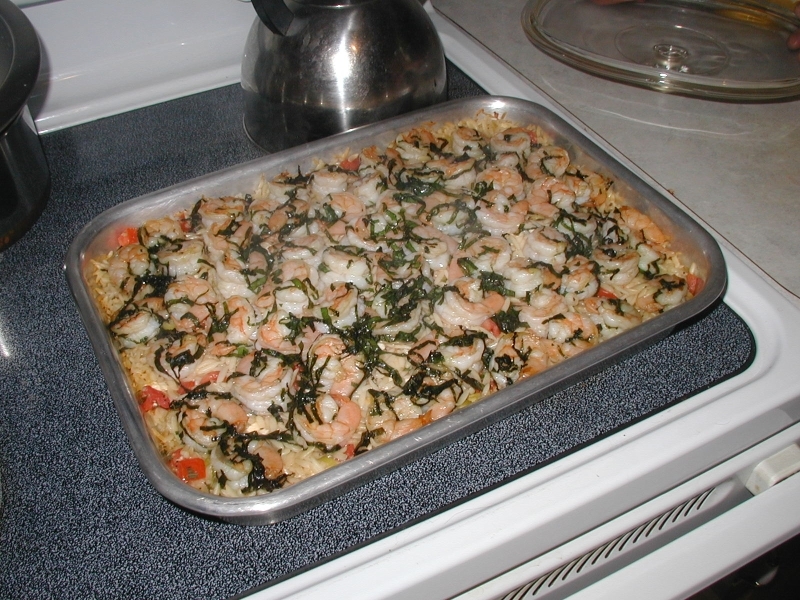 The Shrimp-Orzo-Basil recipe highlighted here is something I never would have tried to make had it not been for a friend arriving on the doorstep with recipe in hand and ingredients in a huge coolie bag. We didn’t use the cooking bag that the recipe calls for and instead placed everything in a 13″ x 9″ baking pan. Besides the shrimp, orzo and basil, you’ll need a tomato, green onions, a lemon, olive oil, feta cheese, salt and pepper. Covered the pan with foil before putting in the hot 425 degree oven and set the timer for 25 minutes. We thought the recipe was easy to make. Cutting board action includes dicing a tomato and slicing green onions. Then, grate the lemon rind and squeeze it for juice. Tip: Buy frozen, peeled and deveined shrimp to cut down on prep time. 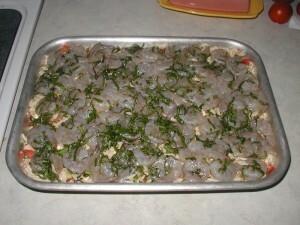 Just thaw the shrimp in the refrigerator the night before making the dish. The delicious basil shrimp orzo dish can be whipped up in an hour, including prep time and cooking time. Enjoy!